Happy October, PFAV friends and family! We hope you enjoyed a great summer. As we progress into fall, we want to let you know what we’re up to here at Project For A Village. October 11 is the UN-sponsored International Day of the Girl, dedicated “to galvanizing worldwide enthusiasm for goals to better girls’ lives, providing an opportunity for them to show leadership and reach their full potential.” PFAV has made this part of our mission for many years. For this year’s Day of the Girl, we invite you to join us in making a difference in the lives of girls and women in Nepal. 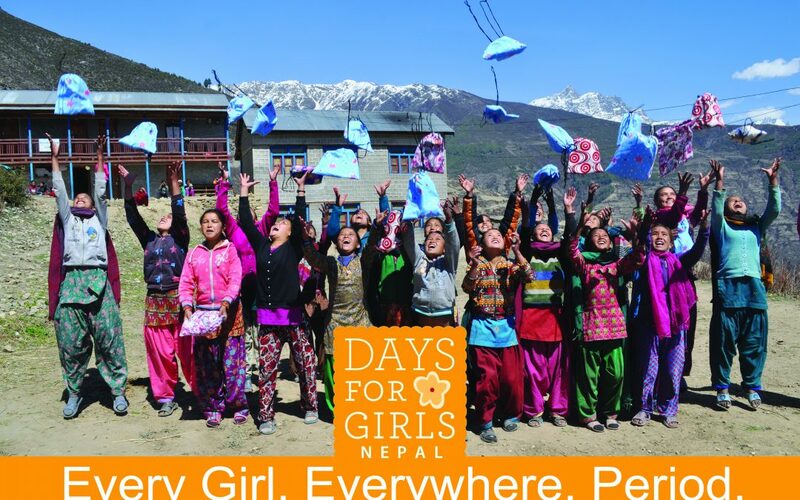 Project For A Village proudly supports the Days for Girls Single Women’s Micro-Enterprise in Dhading Besi, Nepal. The micro-enterprise provides gainful employment to single women supporting their families. The women make reusable menstrual kits that can be bought and donated to girls in need. Along with the supplies they need to handle their periods and stay in school, the girls receive vital instruction about feminine hygiene and how to care for their developing bodies. To celebrate Day of the Girl, our goal is to raise $1000 for the Dhading micro-enterprise by October 11. 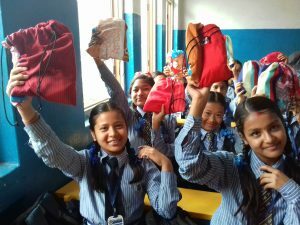 Your donations will purchase menstrual kits from the micro-enterprise for school-aged girls in Nepal. Each kit costs $7, so if we reach our goal, we can provide life-changing (and sustainable!) menstrual care to more than 140 girls. As always, 100% of donations we receive goes to directly to our projects. Stigma surrounding menstruation has kept too many girls in Nepal from completing their education. This robs the country of future leaders and prevents generations of girls from achieving their full potential. PFAV is proud to support the micro-enterprise’s goals of enfranchisement for women and empowerment for girls. Please join us, and remember that every kit – every dollar – makes a difference. 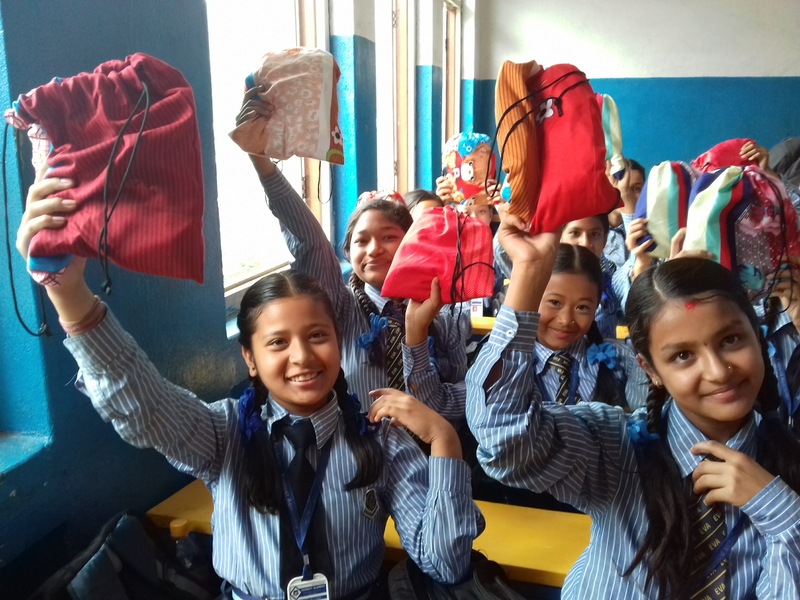 Donate between now and October 11 to help purchase menstrual kits from the micro-enterprise for girls in Nepal! Follow us on Facebook, Instagram, and Twitter for information about Day of the Girl, menstrual discrimination, and sustainability! Follow the micro-enterprise on Facebook! Tell your friends and family about the micro-enterprise, PFAV’s fundraiser, and International Day of the Girl. Use hashtags like #DayoftheGirl to be part of the greater international community celebrating girls this month. Learn and share what you can do for the girls in your own community who may face barriers to their education and empowerment. Very important work supporting girls and women who are the backbone and heart of so many cultures.